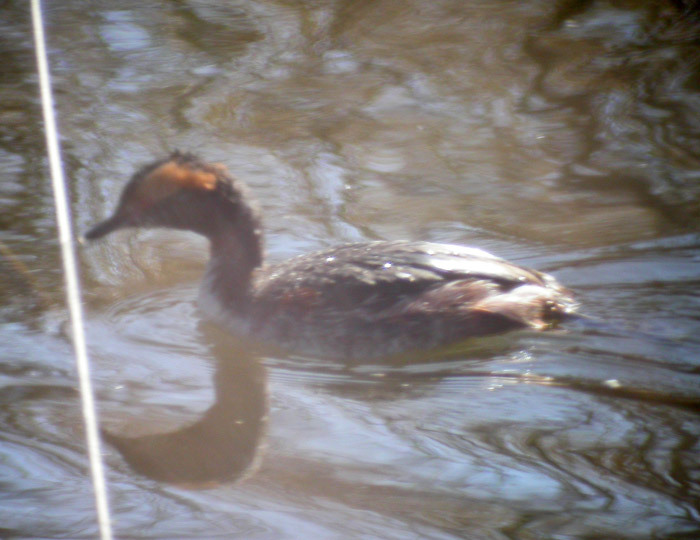 Tuula Rose, Nathan Rose, Leena Rogers, Bob Parsons and Milt Moody saw a Horned Grebe on the West side of the Provo Airport Dike a little ways south of the control tower. It was not quite in breeding plumage but was working on it. Attempts to get a picture didn't go very well since the bird was pretty active and the picture was taken through a scope, but it does give you and idea what it looked like.